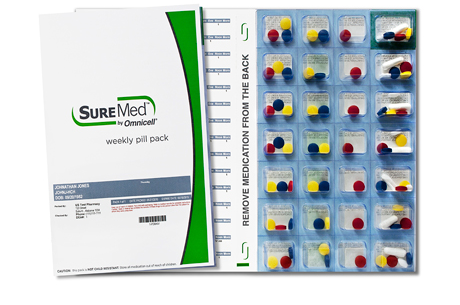 Resident Care Pharmacy uses Standard Blister Packaging, Opti-Pak and SureMed Packaging to support safe and compliant medication management services. To ensure that the medications are administered safely, the Departments of Public Health, Mental Health and Department of Developmental Services established the Medication Administration Program (MAP) through joint regulations in 1993. 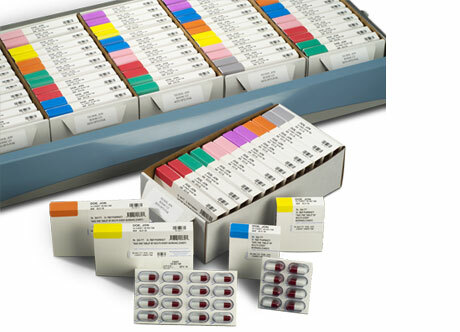 Simple, easy to use packaging helps medication administrators, care givers, family members and patients themselves become, and stay, compliant with their prescriptions. 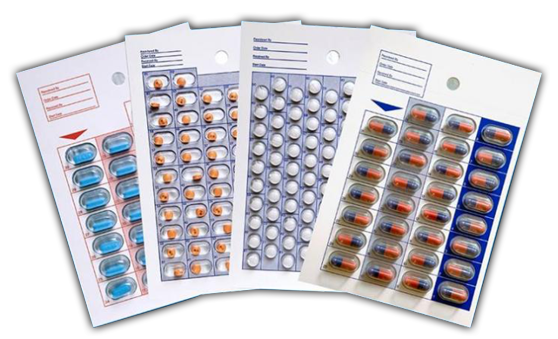 When sequence of medications and the intervals are clearly laid out, caregivers and patients can visualize the pills to be taken.